This blue-from Ishikawa's frog (イシカワガエル, Odorrana ishikawae) was the most exciting encounter among the HerpVenture in Okinawa this time! Though perhaps it's not accurate, but another species of frogs in Japan also appeared blue individual, they supposed it was a miracle which occured only 1/50000 in chance! I guess it's probably the similar situation for this. The lack of yellow pigment might be the reason why a green frog became blue... we were so lucky we can found the mutant blue frog this time, AWESOME!! The Ishikawa's frog (イシカワガエル, Odorrana ishikawae) is a big frog endemic to northern Okinawa Island, it's about 9-11 cm of the body length. 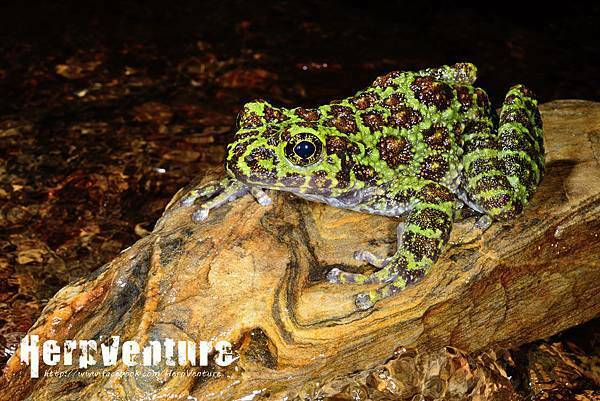 The endemic species is also very beautiful, it's famous as "the most beautiful frog in Japan". 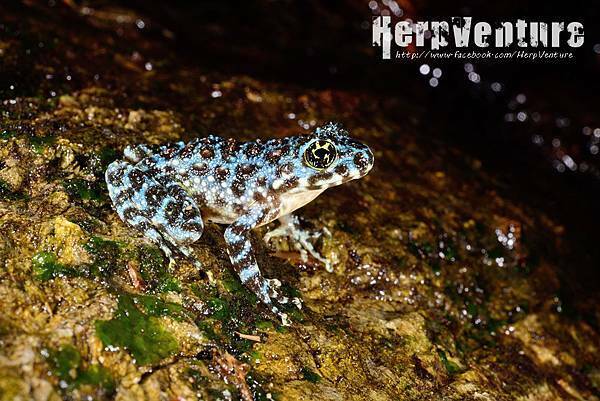 In 2011, a study report (Kuramoto et al., 2011) revealed that the population of Ishikawa's frog in Amami Island as a distinct new species: Odorrana splendida. After that, we can only find the Ishikawa's frogs in the northern Okinawa Island. We were pretty lucky this time, we found one finally after we trekked in the forest for three hours!